For more than 70 years, Althauser Rayan Abbarno has provided estate planning and probate services for individuals and couples in Thurston and Lewis counties, and throughout SW Washington. Our attorneys, and the addition of Judge John Turner, provide experienced legal representation to assist with your estate planning goals or assist with the probate of an estate. Our estate planning attorneys are pleased to assist clients with a thorough review of their assets and the development of a long-term plan for asset management and transfer. Our attorneys work closely with clients to determine their wishes and create a plan designed to carry out their wishes. 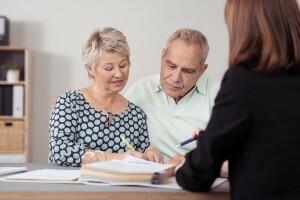 Some of the estate planning tools we use include wills, trusts, community property agreements, separate property agreements, powers of attorney, living wills, medical powers of attorney, special/ limited powers of attorney, testamentary trusts, revocable living trusts, special needs trusts and credit shelter trusts. We assist clients with all aspects of probate including the probate of an estate with a will or without a will. Probate can be a difficult and time consuming process, don’t try to handle it alone, contact us today to schedule a consultation. We handle all of the necessary legal details so clients can focus on their family and friends during difficult times. We prepare all documents, contact creditors, publish required notices, handle distributions, obtain federal tax ID numbers and perform other necessary requirements of the probate process.